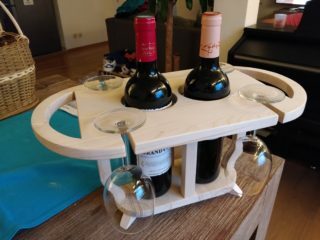 The Wine Plate is a project for a friend of mine. 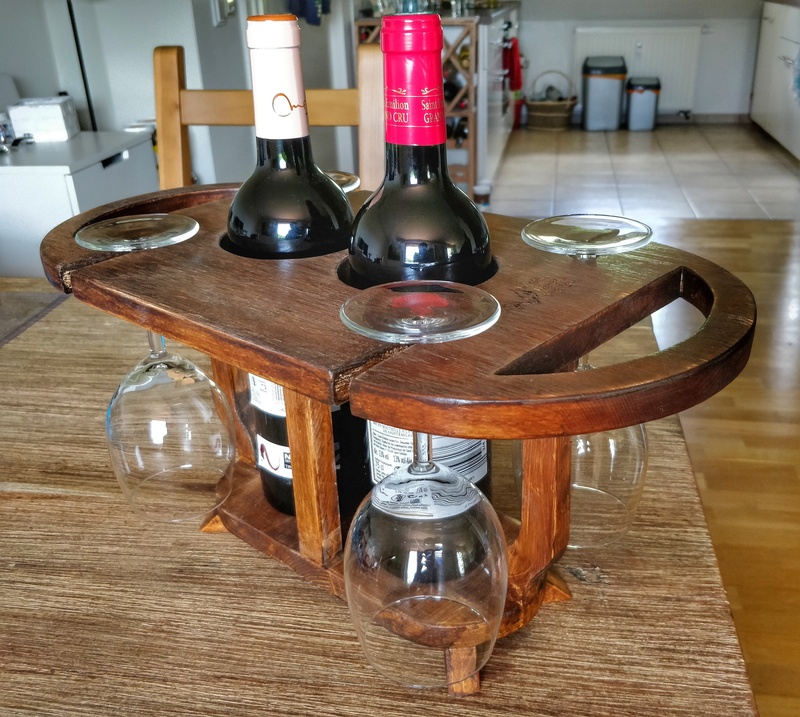 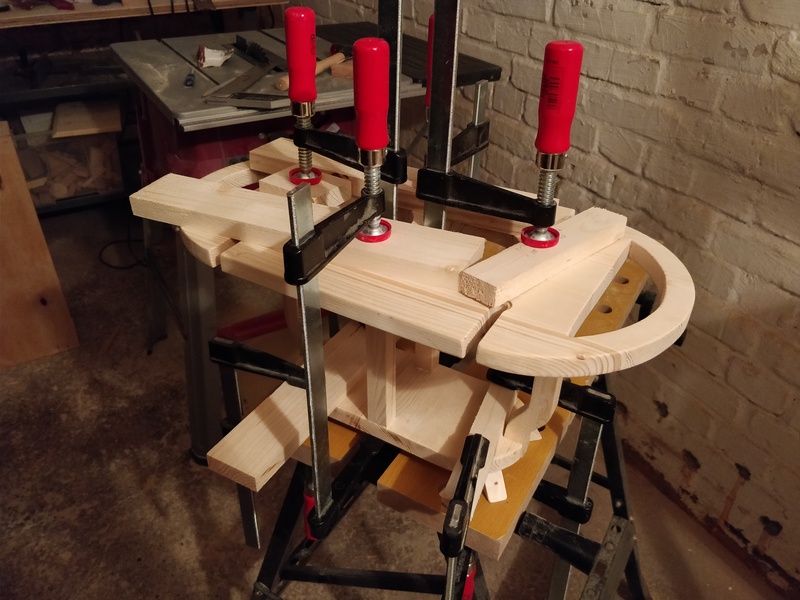 For his birthday i have created a nice wine glass and bottle holder he can put on his table. 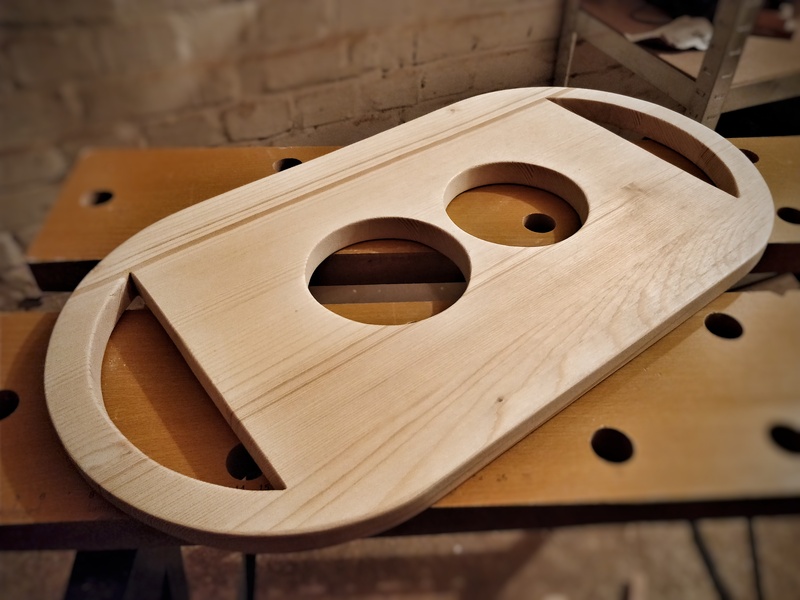 It is my first project to handle curvature and remove inner parts of a panel. 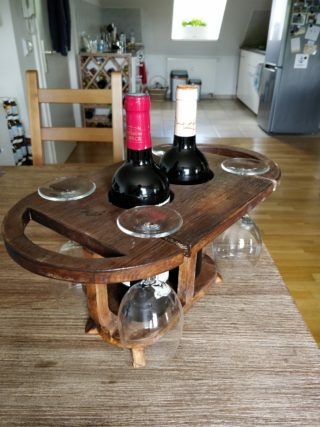 This was done by a jigsaw and sanding afterwards. The wood was stained dark for higher contrast in his flat and more neat look.